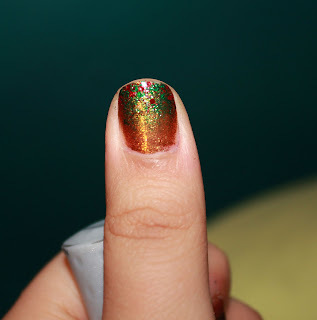 See Sarah Swatch: First Christmas Mani!! Hi! I have my very first Christmas-themed nails of the year:] I haven't gotten into the holiday spirit yet, I think it's because I've been pretty sick for a while, on top of crazy school stuff. But yesterday, my housemates & I had a Secret Santa get together, so I had to do festive nails! These are cute! You did a great job. Can't wait to see your other Christmas nails. So cute! 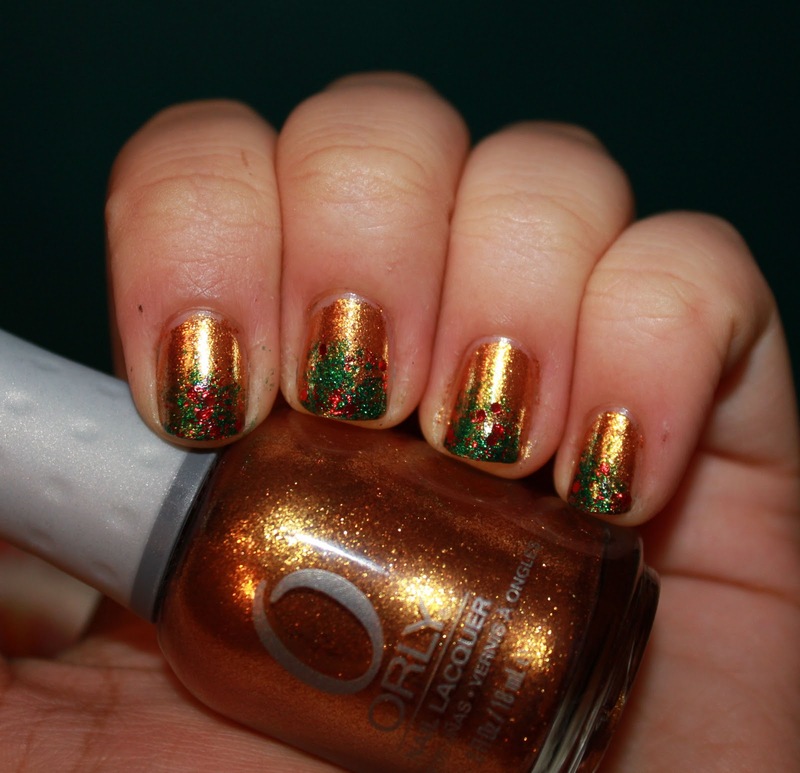 I love this Orly Glitz and Glamour, what an amazing gold! I need this polish ASAP! I tend not to like really yellow-y golds (my favorite gold is Orly Luxe), but the emerald and red sponging make this really gorgeous. Great job! I love this! What great colors! 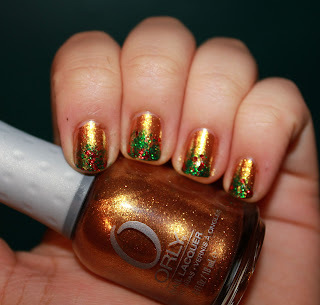 I realllyyy want Orly Glitz and Glamour.